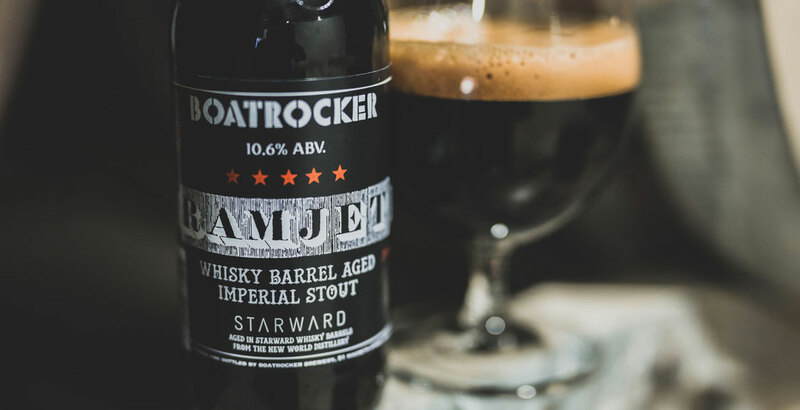 For the second in our series looking at the story behind some of the coolest, most iconic or most sought after beers in Australia we ahowcase Boatrocker's Ramjet. The imperial stout has only been around a couple of years but has blown away pretty much everyone who has tried it. The beer even has its own day, with the first Ramjet Day taking place on April 9, 2016. 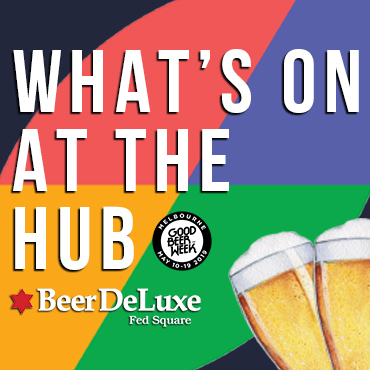 The event at Boatrocker's Barrel Room will see guests – who are paying a pretty penny for the honour of being there but get much to take away in return – try several vintages plus unoaked versions of the beer as well as trying their hand at a spot of blending. 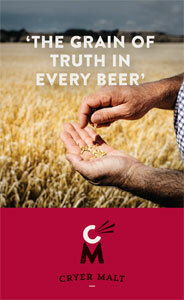 When was the beer first conceived? I’d always wanted to brew a big barrel-aged stout at commercial scale but, while using oak chips soaked in whisky may have been fine when I was a home brewer, scaling up to a commercial level using that method was not an option. One of our old brewers used to work at New World Distillery (the makers of Starward Whisky), and so a phone call was made. And the rest, as they say, is history. What did you hope to achieve with it? The founder of New World Distillery, Peter Vitale, had always wanted to make a uniquely Australian whisky, which he has achieved, and I wanted to make a uniquely Australian barrel-aged stout. Sure, we could have aged a stout in bourbon barrels (which we have also done), but then where is the Australian identity of that beer? Was it inspired by other beers? The inspiration for Ramjet has come from the amazing barrel-aged wonders coming out of the USA, for sure. Some beers like Founders' Kentucky Breakfast Stout have become legendary and are most definitely a source of inspiration. Given Boatrocker's main interest with barrels seems to focus on Belgian styles and sours, where do beers like Ramjet and Banshee (the brewery's barley wine) fit in? I have always had an interest in barrels (purchasing 60 used wine barrels before I’d even bought the brewery shows how much of an interest!) and, without wanting to sound like a wanker, every barrel has a personality, and a story to tell. The barrel-ageing program we have set up allows us to not only express our own artistry, but also those of the cooper, the winemaker and the distiller. I guess with barrels that’s where the fine line of science and art are best expressed in beer making. Ever since my first visit to Cantillon, I was captivated by the experience of the barrels, and I guess emotionally I hope it touches everyone the same way. I want people to understand that brewing is not just an automated process, but involves artistry and creativity and a respect for not only the brewing process but a respect for the tradition. We certainly don’t want to be beholden to it, but we will always respect it. Maybe that is what inspired me to make beers like Ramjet and Banshee? In some ways they are relics of a brewing tradition that were wiped from the culture of Australia by mass produced lagers. Do they fit within the confines of Belgian / Sour? No. But they fit within the tradition and historical importance of barrel-aged beers, with both Ramjet & Banshee giving up a little of their history in every sip. 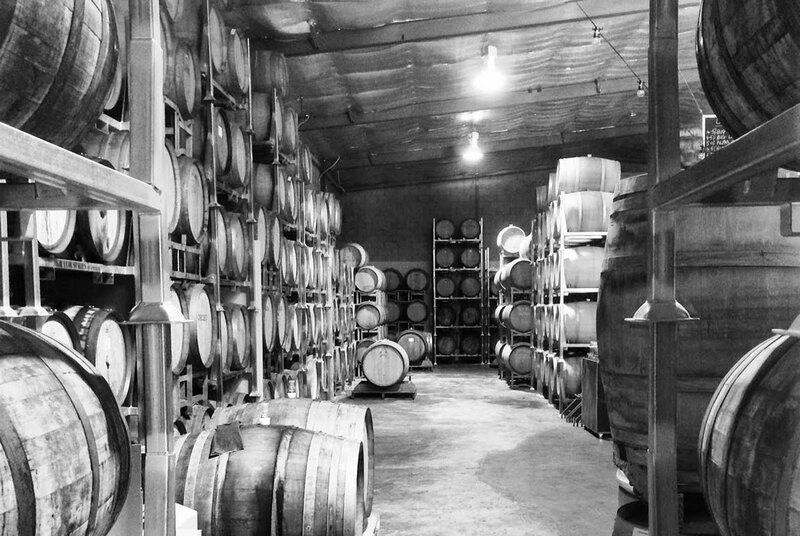 One side of the Boatrocker Barrel Room in Braeside. Photo supplied by Boatrocker. What is the process that goes into making each batch? The malt bill on a big beer like Ramjet is quite phenomenal, which pushes our brewhouse to the limits! We use only malts that have the best flavour, and I know brewers bandy the term "highest quality" around a lot, but quality and flavour are not necessarily the same thing! The base malt of Ramjet is none other than [English variety] Maris Otter, a malt bred especially for flavour. A range of specialty malts complement the beer to add all those lovely chocolate, coffee and roasty characters that are so evident in the beer. Due to the sheer size of the malt bill, we brew Ramjet over two days. It takes three brews to make 20 hectolitres. After fermentation and an extended cold storage, the beer is racked into New World Distillery Starward Whisky barrels. Immediately, the aromas coming from the barrel are incredible, but it will be four to six months before the flavours have melded together to create something truly unique. Depending on the taste of the beer from the barrel, we craft another batch of Ramjet, which will then be skilfully blended depending on the brewer’s preference. Once the desired flavour profile is achieved, we rack the beer from the barrels into a bright tank, blend in the unbarreled portion of Ramjet, chill and carbonate. We then bottle / keg the beer. Big beers like this need time to "find themselves". 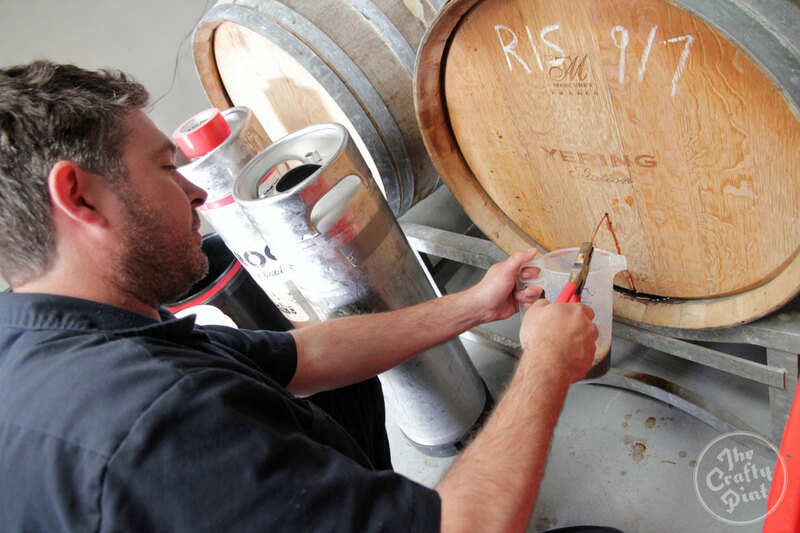 We deliberately age the beer before release, sometimes for as long as six months. What experience did you have with barrels before brewing Ramjet? My experience working with barrels was initially limited to our initial purchase of wine barrels, and quite a lot of study! Barrels are a natural product, and consequently they "breathe", providing a slow but steady rate of oxidation. Understanding this is crucial to crafting barrel-aged beers, as small amounts of oxidation are actually flavour beneficial. For example, this oxidation is why I chose Banshee to go into ex-Pedro Ximenez (ex-Starward) barrels; the natural sherry-like flavours and aromas of oxidised English style barley wine I thought would complement the underlying Pedro character. Where do you source them from and how specific are you about what they've been used for before? The barrels that house Ramjet are sourced from the New World Distillery, located in an old hangar at Essendon Airport. Quite a place! The smell of whisky and the sight of the barrels is incredible! The barrels have only ever had Starward whisky in them, however, due to the nature of distilling and barrel-ageing, we have seen some different wood types, but still the same spirit base. This beer is big. So I felt it needed a big name. I also thought about the process of making the beer and how we are adding extra character to the beer by barrel-ageing. That’s when I thought of the Ramjet engine, whereby a fuel source is added to a rocket during flight to make it go faster / further. The extra fuel source in our case was the Starward whisky and barrel from New World Distillery. And, along similar lines, we named the bourbon barrel version Roger Ramjet. Matt Houghton tending to one of his many, many barrels. Has the beer changed over the years? The beer has changed, most definitely. That’s a good thing, I think, as a beer like this is like a great bottle of wine with a vintage date, indicating not only the ability that one can cellar it beyond its vintage date, but that it should be treated with a little more respect. The difference over the years is mainly in ABV, but also other textural things depending on things such as barrel wood type, and what was previously housed in the barrel before the Starward whisky. Do you have to replenish / replace the barrels? We have an arrangement with New World Distillery whereby after we empty the barrels of Ramjet, we rinse and return ASAP, and the New World Distillery team fill straight away with more whisky. The idea being that there will be a transfer of flavours into the barrel. I think with the next batch of barrels from New World Distillery, we’ll be back to the first batch of Ramjet barrels. So in essence, we’ll have Ramjet Ramjet! Can’t wait to taste that. What expectations did you have for the beer when it was first released? Like all our beers, we just hope that people will enjoy it. And so it was with Ramjet. At first we were a little unsure if people would like it, but it certainly proved to be popular. I still remember having to do the hard sell on a keg. Now we have a waiting list with no guarantees. What are your future plans for Ramjet? I think a beer base like Ramjet lends itself to so many ideas, and one we have carried out is Roger Ramjet, the bourbon barrel aged version. However, I think this steps away from the roots of an Australian barrel-aged imperial stout. We have an event on April 9 called Ramjet Day, where we’ll celebrate everything Ramjet. We will have exclusive offerings of Ramjet variants involving raspberries and coffee to name but two. Maybe the next bottled release will be a Ramjet Breakfast Stout? What's the best / worst reaction you've had from someone trying it for the first time? The best reaction I have had was seeing someone’s face light up with pleasure. No words, just a smile and a nod of the head. The worst was someone complaining that the beer was not cold, and how dare I serve a beer not cold. I’m sure he’ll understand one day. Thanks, Matt. Look out for more in this series next month. If you have any Australian beers you'd love to see us feature, feel free to drop us a line. Photo at top of photo taken by Craft Everything and supplied by Boatrocker. NB: At time of publication there were two spots left for the Mordialloc pickup leg of this Cabal event at Boatrocker.